While I’m fully aware of the beauty that London withholds, I’m becoming even more enamored with the city as the weather becomes more temperate. It’s averaged around 57 degrees here lately. Instead of bundling up in layers to combat wind and rain, I’m able to wear a t-shirt, cargo shorts and sunglasses. Primrose Hill has become an ideal destination for a great walk, and a lovely view of the city. The flowers are starting to bloom in Regents Park. People are starting to play ultimate Frisbee on the lawn. It’s a great time to be in London. I’m so appreciative for Regents University’s location. While we are in the heart of the city, the school is surrounded by Regents Park. Because of this, we have the serenity of a royal park, with the convenience of any other university in London. I highly recommend anyone traveling to London at all, to dedicate time to explore Regents. The lake has a boating area, where families enjoy holiday. The different birds and geese in the park are unique to the area. They include the Tufted Duck, Ruddy Duck, Canada, Coot, Red Crested Pochard and the Greylag Goose to name a few. In the morning when you wake up, the sounds of birds chirping and ducks quacking is borderline insufferable. may take two days to completely experience, the city’s rich culture emanates through every street. 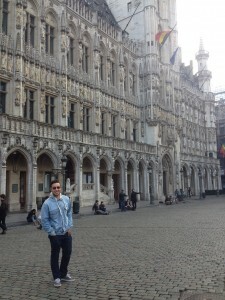 The gothic-styled Town Hall, located in the Grand Place, stands 315 feet tall. The building looks stunning, and shines even greater at night. The uniquely detailed Guildhalls and Museum of the City of Brussels round out the Grand Place. It is a great area to wander. There are countless bars, restaurants, and most importantly, chocolatiers. The weekend brought on a plethora of pounds to say the least. Belgian waffles and chocolate truffles lead to a deadly combination– and I’m ok with it. 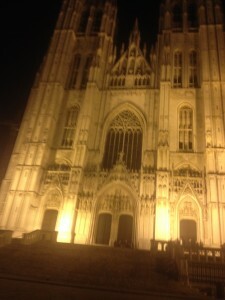 When’s the next time I’ll be in Belgium? 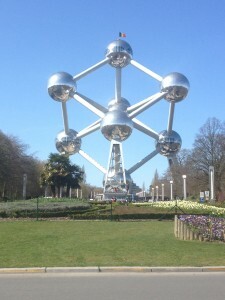 The trip was rounded out with a trip to the Atomium. The structure was designed for the 1958 Brussels Worlds Fair. This visit was prefaced by a stop to one of the best Italian restaurants I’ve feasted at since being in Europe. Brussels is definitely foodie’s haven. 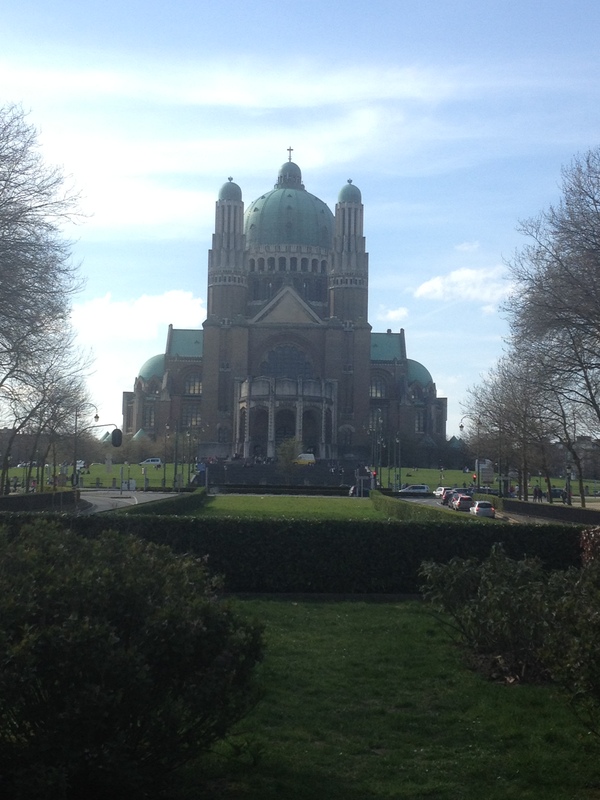 fair share of religious buildings, including Cathedral of St. Michael and St. Gudula to the Basilica of the Sacred Heart, Brussels. The city is historically Roman Catholic. However, today a majority of the population is non-practicing. Around 25 percent of the population is Muslim, mostly migrating from Turkey and Morocco. Brussels is also considered to be the de facto (unofficial) capital of the European Union. Brussels has housed numerous EU related conferences. While the EU has no official capital, The European Commission (executive body) employs 25,000, spread around the world, largely centered in Brussels. There is also a high concentration of journalists in the area, largely reporting from the Commission press room. The beautiful architecture, great food and unique history makes Brussels an ideal tourism location. My time abroad will be ending pretty soon. It’s hard to believe that I’ve already been here for three months. I’ll be finishing my tour of Europe with a trip to Lisbon, Portugal and Amsterdam, Netherlands. In the coming weeks, London will become even warmer. I’m excited to stroll through the city, with pleasant weather, in my last couple of weeks abroad.